Your committee is responsible for maintaining the clubrooms and the tractor services, maintaining the yachting equipment, hiring the clubrooms for events and responding to queries from those requiring information on club direction. Kapok lifejackets have kapok filled plastic bags inside the covering, giving the bags a rounded look. Maritime NZ has issued a safety notice advising that these are all no longer serviceable because of age. 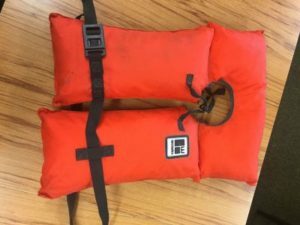 If you have one please destroy it and buy a new lifejacket with reliable flotation. The picture shows the most popular of the “dead” lifejackets. The club facilities are available for hire and are ideal for social functions.